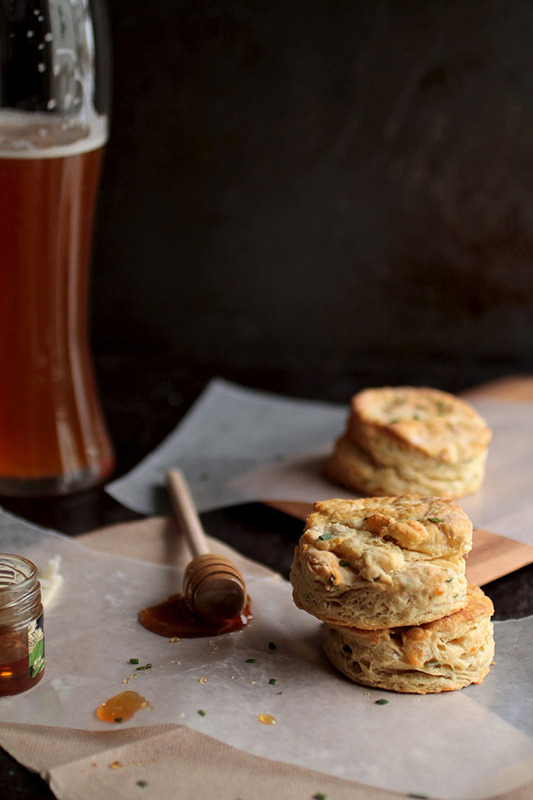 Step up your brunch game with this recipe for easy cheddar beer biscuits! 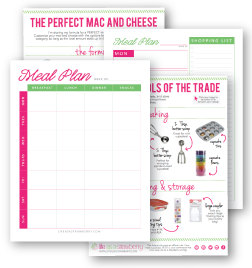 Perfect for an easy breakfast recipe or as a side dish to your favorite soups, chilis, and stews. Vegetarian. I love them. I could eat them every meal of every day forever and ever. There’s something about pulling apart that buttery, flaky dough – and then slathering said flaky dough in even more butter – that just makes the world a happier place. I made these Sunday morning for several reasons: first, baking biscuits is way more fun than finishing the lit review for my Master’s thesis. Second, I needed to shoot a recipe for this whole bloggity blog situation. Third, beer biscuits mean you also totally need to pour an additional beer to use as a photo prop and then drink that additional beer because waste = bad and who cares if it’s only 10am and you have a 30 page thesis chapter due because this is WORK RELATED. It was really only a matter of time before beer made an appearance in a biscuit recipe here. I love drinking beer – love it love it love it – but I also really enjoy boozing up my favorite recipes with the flavor that only comes from a deep, dark stout or a hoppy IPA. It adds a whole other layer of richness to food. Put a good beer together with a handful of bright, fresh chives and some sharp cheddar cheese and then wrap it up in a biscuit? Bliss. 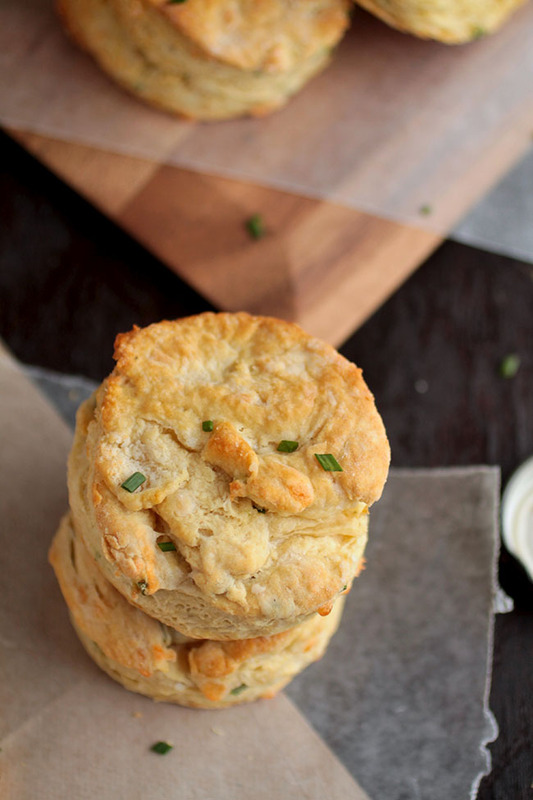 Pure biscuit-y, cheesy, chive-y, beer-y bliss. Stir flour, baking powder, baking soda, and salt together in a large bowl. Add cubed butter and cut it into the flour mixture, using either your hands or a pastry cutter, until the mixture is coarse and resembles cornmeal. (If you're unfamiliar with this process, you basically just quickly rub the butter into the flour with your hands until the mixture is coarse and the butter has been broken up into small pieces). Stir cheese, chives, and pepper into flour mixture. Add beer to flour mixture slowly (so it doesn't foam up) and stir until everything is combined. The dough shouldn't be completely smooth - we want to keep lots of butter pieces in there so the biscuits will bake up and be nice and flaky. Lumpy dough is ok! Turn dough out onto a floured surface. If the dough is too sticky, gently fold a tablespoon or two of flour into it until it's easier to work with. I like to fold my dough over on itself and then pat it flat several times, so I have lots of butter layers working for maximum flakiness. Roll dough to about ½" thickness and cut biscuit rounds with a 2" biscuit cutter. Place rounds on an ungreased baking sheet and bake at 450 degrees Fahrenheit for 10-15 minutes until lightly browned. Serve immediately with butter and honey or alongside your favorite chili recipe. Store them in an airtight container on the counter for up to three days or freeze them and heat them up as needed! These look amazing! They combine two of my favorite indulgences: baked goods and beer. OMG love!! These look AMAZING! Just perfect! 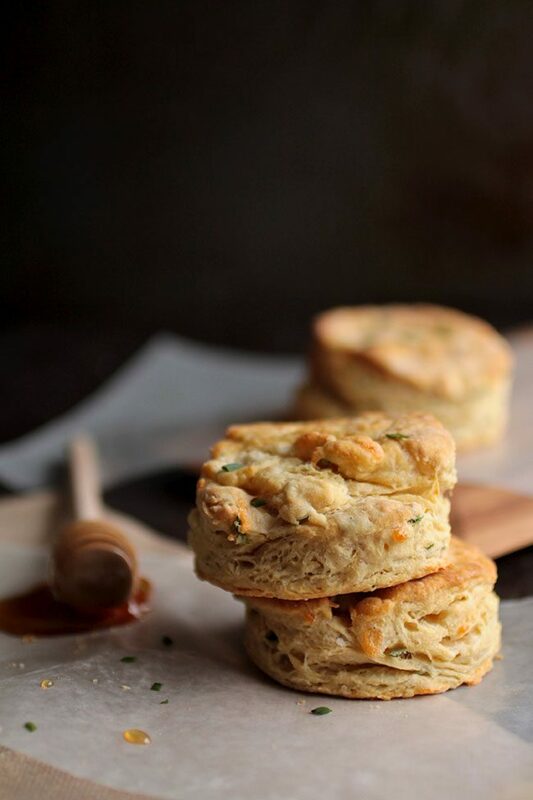 I love a good Southern savoury cheddar and herb biscuit like these – I definitely am craving one to devour right now!